Sports Mole previews Wednesday night's Premier League clash between struggling Burnley and unbeaten Liverpool, including predictions, team news and head-to-head records. 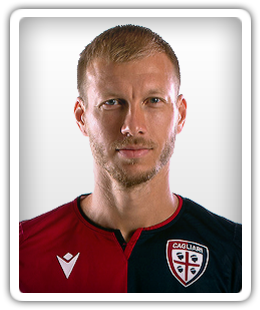 Liverpool defender Ragnar Klavan joins Serie A side Cagliari on a permanent deal. Liverpool boss Jurgen Klopp says that he has enough players who can play at centre-back having given the green light for Ragnar Klavan to sign for Cagliari Calcio. Liverpool defender Ragnar Klavan will reportedly fly to Italy today to complete a £2m move to Serie A side Cagliari. Liverpool are reportedly willing to consider offers for centre-back Ragnar Klavan during the remainder of the summer transfer window. Ahead of their Premier League opener against West Ham United, Sports Mole looks at how Liverpool could line up in the 2018-19 season. Rafael Benitez reportedly wanted to sign Ragnar Klavan and Erik Pieters on transfer deadline day, only to be informed that they did not fit club criteria for new players. Sports Mole provides predicted lineups, team news and a full preview of Liverpool's opening Premier League match against West Ham United. Liverpool boss Jurgen Klopp hopes to find a solution to his defensive headache after being left with two fit centre-backs. Liverpool manager Jurgen Klopp reveals that he "doesn't see the need" to sign another defender before the transfer window shuts. Liverpool reportedly have no intention of signing Croatia international Domagoj Vida or any other central defender this summer, despite speculation to the contrary. Christian Pulisic comes off the bench to score two and create another as Borussia Dortmund recover from a 1-0 deficit to beat Liverpool 3-1 in pre-season. Liverpool manager Jurgen Klopp will reportedly hand Joel Matip and Joe Gomez the chance to stake a claim for a regular starting role in the absence of Dejan Lovren. Adam Lallana is named among the substitutes as Liverpool welcome Brighton & Hove Albion to Anfield. Liverpool hold off a second-half fightback from Roma to book their place in the Champions League final despite a 4-2 defeat in the second leg at the Stadio Olimpico. Sports Mole previews the Premier League action as Liverpool welcome the visit of relegation-threatened Stoke City to Anfield. Liverpool make five changes from the weekend's draw with West Bromwich Albion against Roma in the Champions League. Mohamed Salah does not feature in Liverpool's squad to face Everton in the Merseyside derby at Goodison Park. Sports Mole looks at how Liverpool manager Jurgen Klopp could set up his side for the Merseyside derby showdown with Everton. Sports Mole previews the Premier League action as Everton take on Liverpool in the Merseyside derby at Goodison Park. Young defender Conor Masterson says that it felt "unbelievable" to be involved in Liverpool's squad for the 3-0 victory over Manchester City in the Champions League. Liverpool boss Jurgen Klopp says that Ragnar Klavan will miss Wednesday's Champions League clash with Manchester City, while revealing that Emre Can remains doubtful. Liverpool boss Jurgen Klopp describes his current squad as the strongest that he has worked with during his time in management. Sports Mole provides predicted lineups, team news and a full match preview of Liverpool's trip to face Southampton at St Mary's on Sunday. Sports Mole looks ahead to Sunday's Premier League showdown between Liverpool and Tottenham Hotspur with predicted lineups, team news and a full match preview. How should Liverpool spend Philippe Coutinho money? Liverpool head into the remainder of the January transfer window with £105m in their pocket due to the sale of Philippe Coutinho to Barcelona, but how should they use it? Liverpool defender Joe Gomez admits that he is eager to learn from Virgil van Dijk, who has signed from Southampton in a £75m deal. Liverpool centre-back Ragnar Klavan says that the addition of Virgil van Dijk into the Reds' defence will provide "good" competition for places in Jurgen Klopp's team. Liverpool boss Jurgen Klopp says that Philippe Coutinho and Mohamed Salah are both doubts for Friday's FA Cup third-round clash with Everton at Anfield. Liverpool boss Jurgen Klopp admits that his side did not play "fantastic football" away to Burnley, but says leaving Turf Moor with all three points is all that matters. Sean Dyche insists that Burnley were "unfortunate" to miss out on a share of the spoils in their meeting with Liverpool, having conceded in the 94th minute. Liverpool move level on points with third-placed Manchester United in the Premier League table courtesy of a 2-1 win over Burnley at Turf Moor. Liverpool midfielder Adam Lallana makes his first start of the season as Liverpool travel to Turf Moor to face Burnley. Relive Sports Mole's live commentary of the Premier League clash between Burnley and Liverpool from Turf Moor, which ended 2-1 to the visitors. Loris Karius starts in goal for Liverpool in their Premier League meeting with Leicester City at Anfield. Liverpool manager Jurgen Klopp hails Ragnar Klavan as the "perfect role model" for new signings ahead of Virgil van Dijk's arrival at the club.